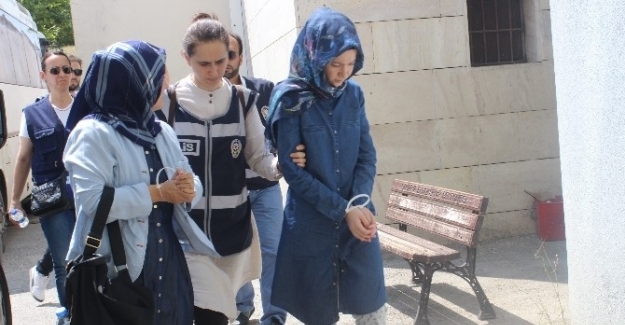 Munise Gülen, a fourth-year sociology student in Manisa province who were earlier briefly detained over her family ties to the Islamic scholar Fethullah Gülen, has been arrested this time around. The persecution did not stay limited to the 23-year-old’s imprisonment, as she was also dismissed from the university and her mother was too put behind bars. What follows is the letter she submitted to Aktif Haber news portal before the latest court decision ruling her arrest. “I am 23-year-old student, last-grade sociology student. I have 5 siblings and our father left us when we were children. The one who has looked after us all this time is our mother. My elder brother and sister study at university and the others are little. My mother started making rosaries that worth no more than TL 0.10 each to make money after she was dismissed from his workplace. I, too, worked to at department stores during summers to keep up living. Until our door was knocked one morning. Police came for my mother, elder sister and me. And our crime was to bare the surname ‘Gülen.’ They decided that we were terrorists over this family tie. My sister was not home as she was taking courses outside the city. They took us after a search at home. We were kept in a holding cell with very poor conditions for 21 days. My mother was later arrested and I was released on judicial control. But my psychology was all disrupted. I was not happy for my release as my mother was put in jail. And even before I was free out its shocking impact, the whole world came down on me as I was told that I was dismissed from my school for which I spent 23 years. We are now struggling for live with my 5 siblings. As we failed to pay our rent, a warrant of attachment was issued. Now I work for TL 600 [$200] a month to earn my living. We are trying to survive without mother and father. Now I ask you: Would it be a crime to have family ties to or the same surname with a person?